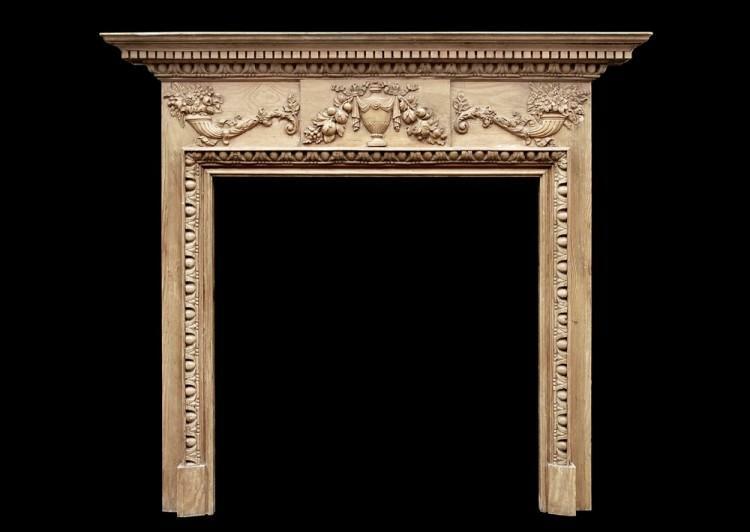 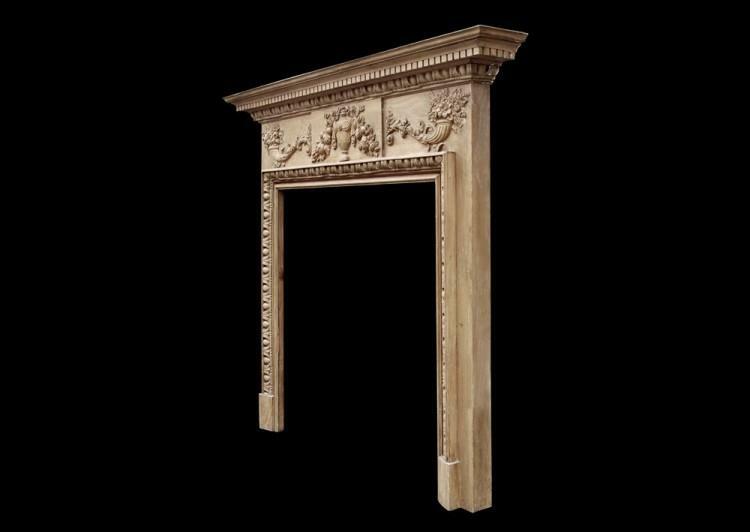 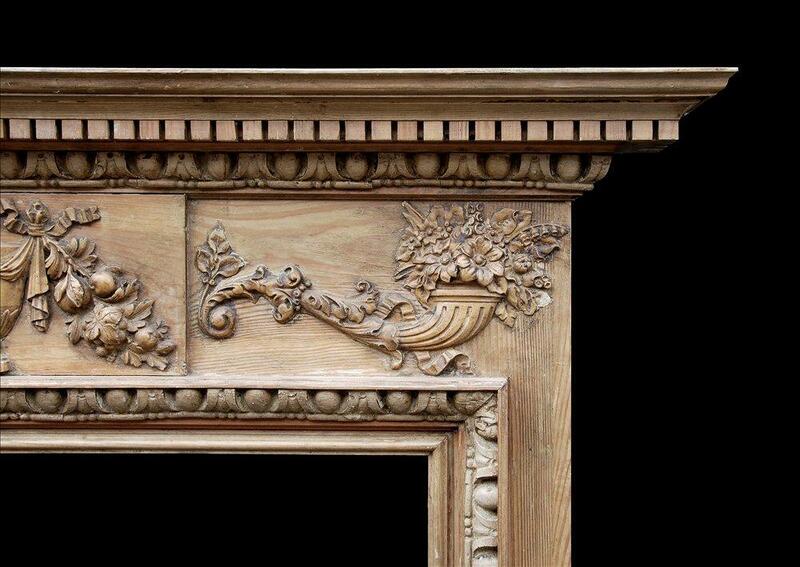 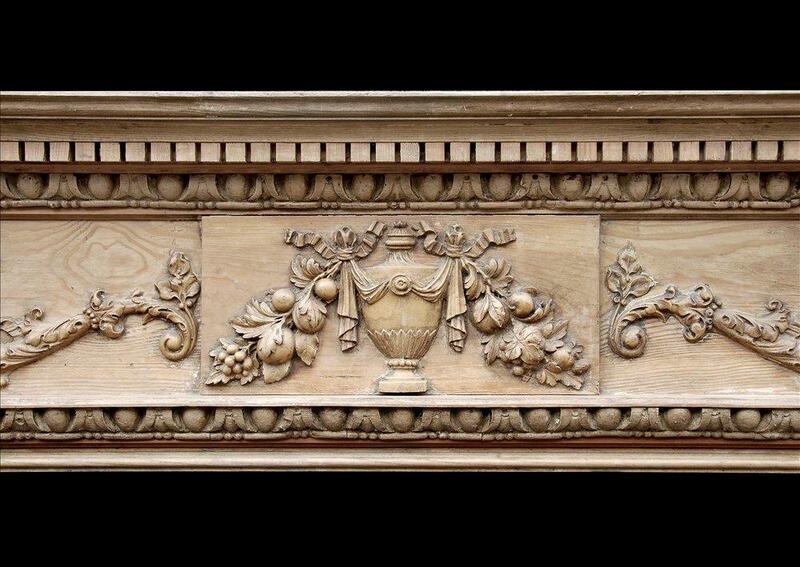 A English Georgian style pine fireplace with gesso enrichments. 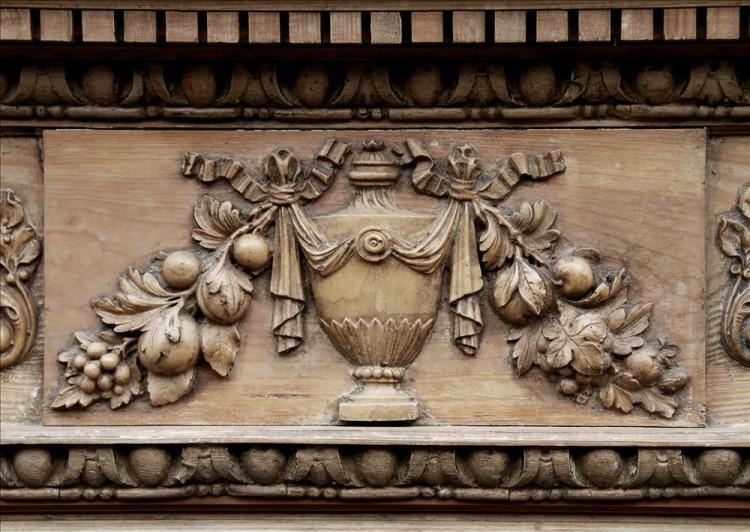 The frieze with centre blocking of urn tied with ribbon, juxtaposed with Cornucopia holdings leaves and fruit with ornate foliage. Egg-and-tongue carved mouldings to jamb ingrounds and cornice. 20th century.